Phase One LIVE August 29 & 30! A Phase One LIVE session allows you to meet professional photographers, get an insight into their workflow and ask them questions live at the session. We are proud to present our next contributor, Christian Kaufmann, who is a German portrait photographer shooting portraits for companies, magazines and football clubs. 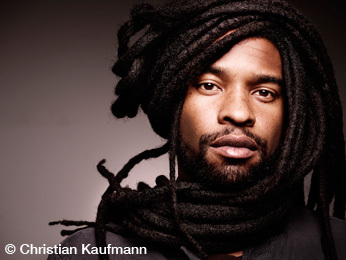 In this session we will follow Christian Kaufmann on a commission shoot for Munich based American artist Eric Mack. Have you ever hesitated purchasing a product because you are worried that a new one will be introduced soon and make the product you are purchasing obsolete? With the unique Phase One Investment Protection Program you can always have the latest and greatest. You can buy today, be productive and profitable – and know that your investment is protected if a newer product is introduced within the investment protection horizon. This gives you an unparalleled assurance that your investment is protected when purchasing products from Phase One. Where else can you find a program like this? Combine this with the best-in-the-industry cameras, digital backs, lenses and software and you will understand why more and more photographers choose Phase One. Read more in this newsletter from Phase One. Some ideas from the photography news website on why canvas might be a good presentation media for your images. Here we intend to keep you up to date with promotions, events and interesting things we find on the web. Check back regularly or add us to your RSS reader.